BlackBerry CEO John Chen has confirmed that a new smartphone with physical keyboard is coming. 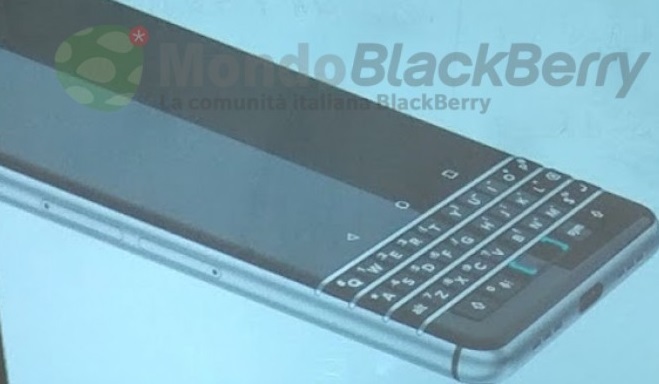 John Chen, CEO at BlackBerry has confirmed that a new smartphone with physical keyboard will be coming soon. It my be released early 2017 and feature a 3:2 format screen. BlackBerry has released two smartphones lately, the DTEK50 midrange device and the DTEK60 high end smartphone. Both were running Android and were made by TCL/Alcatel and not BlackBerry and both did not feature one of the most iconic BlackBerry features: a physical keyboard. This may change soon, according to BlackBerry CEO John Chen who recently gave an interview on Canadian Bloomberg TV and confirmed, that a new phone with physical keyboard is coming soon. While we do not know any confirmed specs, we are pretty sure, it will be the previously rumored "Mercury smartphone". It is supposed to feature a 4.5 inch Full-HD display in an unusual 3:2 format. Most likely it will come with a Snapdragon 820 processor, 3 GB of RAM and 32 GB of storage, however BlackBerry might have updated those specs to be more in line with competitors at the time of release. The battery is said to feature 3,400 mAh of capacity. Most likely, Android 7 will come preinstalled. We are expecting the new device to be officially introduced in early 2017.